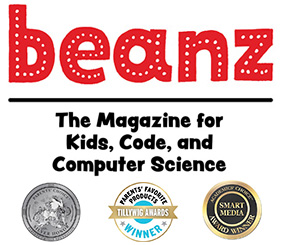 beanz magazine is an award-winning print + online magazine. It's the perfect gift for kids who want to learn about coding, computer science, and how we use tech in our daily lives. It's hands on, quirky, and fun.